Here in the United States, we have a rampant car culture and love affair with the automobile that we have proudly celebrated for more than a century. We build some of the best cars, have some of the most amazing highways, and everyone one is a perfect driver. Okay, maybe that last one was a bit of a stretch. 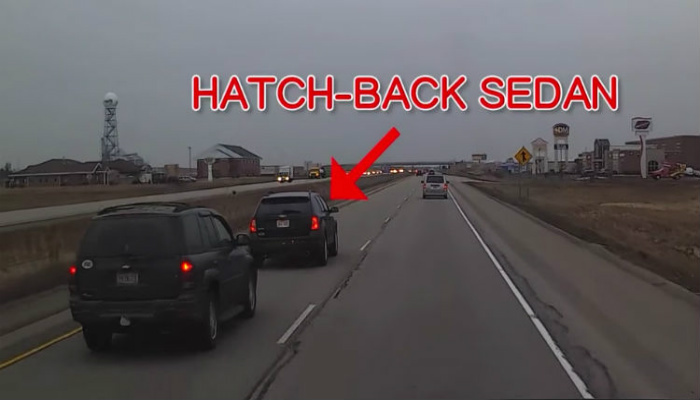 But as we all know, the primary rule of the road is “I am an excellent driver, but everyone else is a nitwit.” And to prove that rule, we just found an awesome video captured by a Wisconsin truck driver of a tailgater getting brake checked by his victim. You are going to be amazed by this video. A Wisconsin truck driver captured a serious case of road rage on his dashcam recently. In the video, an SUV comes barrelling down on a driver in the left-hand lane of highway 41 in Little Chute, Wisconsin. After a few seconds of aggressive tailgating, the driver gets the shock of his life when the victim checks his brakes. The SUV loses control and goes off road before coming to rest in a ditch.